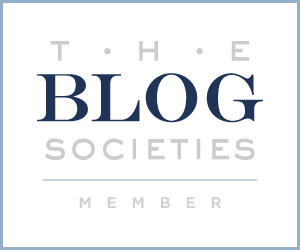 When I moved to Raleigh, I made a promise that I would try to get more involved with local companies and brands. I'm really excited to bring you today's giveaway because they're located right here in Durham North Carolina! 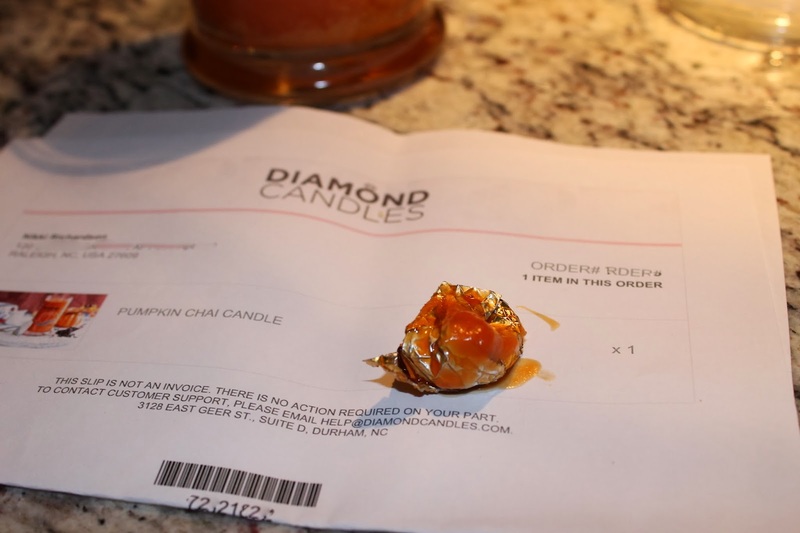 Diamond Candles was born after the owner David bought his wife Brenda a diamond ring for their anniversary. After rushing to the grocery store to purchase a gift bag and having no such luck, he saw a candle and knew it would be a perfect presentation for their anniversary. And Ta-Da! 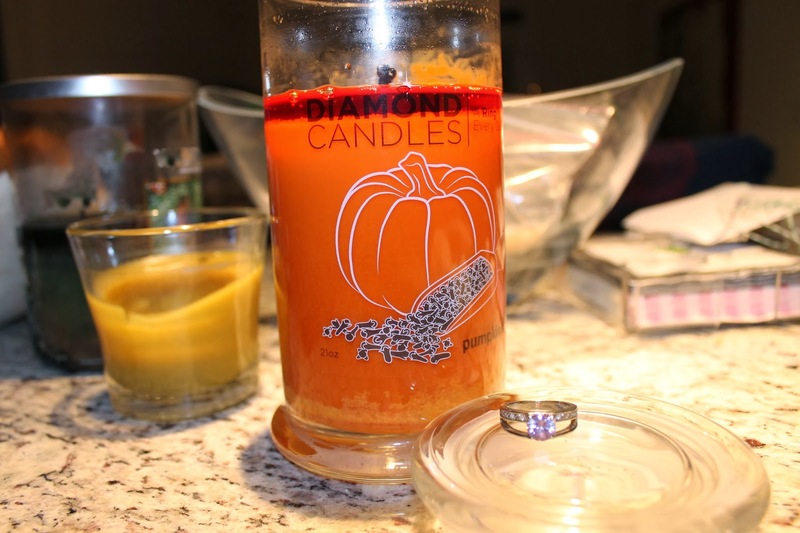 Diamond Candles was invented. How cute is that? 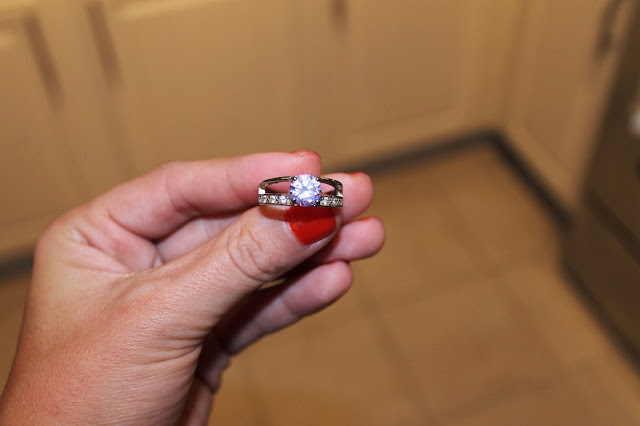 So let's get to the good stuff... my ring reveal and your chance to win your own! It probably took me about 1 week (maybe 15 hours or so?) to burn down to my ring. I always have a candle lit in our home so it might take someone else a bit longer to reach their ring. I didn't want to make a mess in the wax so I patiently waited, fished my foil wrapped ring out and prepared to unwrap it! 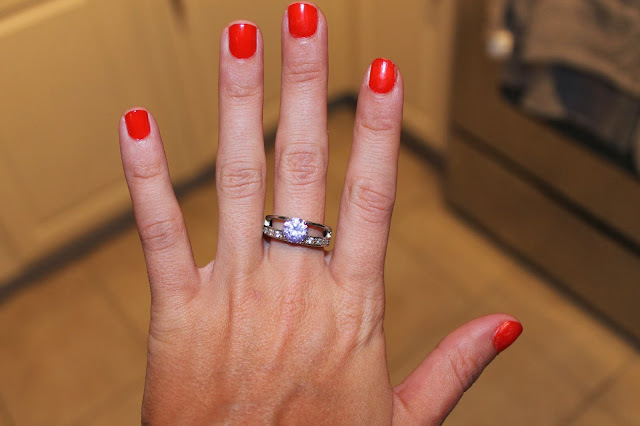 Although my ring wasn't an actual diamond, it was still super fun to unwrap and find a surprise! Plus it doesn't hurt that there was a pink stone in the middle ;) And I've still got a whole lotta scrumptious candle left to burn. Now for the exciting part! 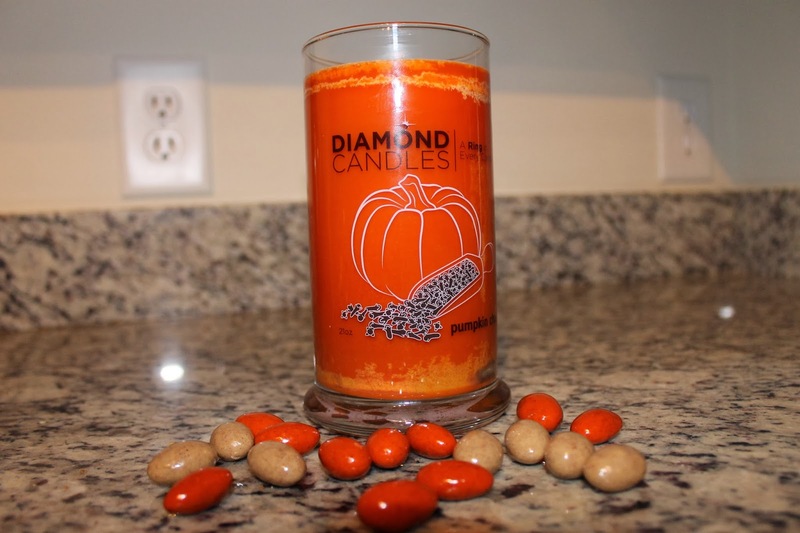 Enter below for your chance to win your very own Diamond Candle - a scent of your choice! Good Luck! What a great story! 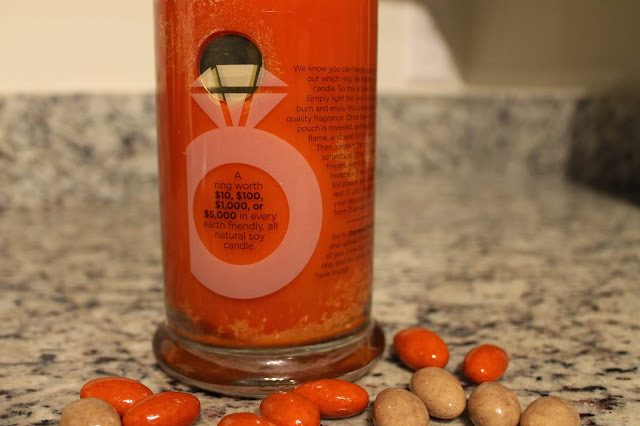 I love candles and the fact that you get a sweet present is really cute! Can you find the candles locally in a store? I would love to get some as Christmas gifts but from what I cam reading there is no chance for a delivery before Christmas.